60 mph winds and 100% chance of rain as the forecast for your OUTDOOR wedding– it is probably a bride’s worst nightmare. But in all honesty, this was one of the most romantic weddings I have ever witnessed. 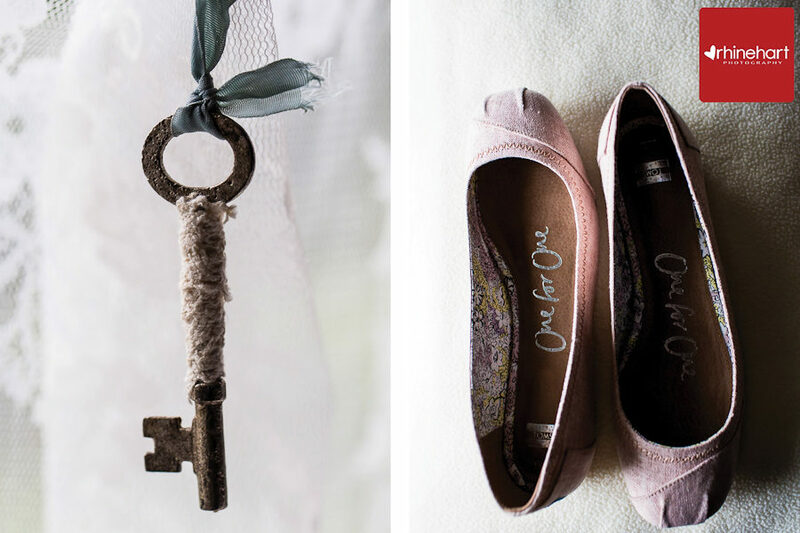 Kyrie’s diy decor and whimsical country style was absolutely charming, but what blew me away (aside from the wind, haha) was close-knit family love, their patience, hope and optimism for this wedding day and for this young couple. There was a lull in the storm, it hadn’t stopped raining, but the weather was much more agreeable. Kyrie decided to get married outside as planned, she slipped on rainboots and was ready to go 😉 It was one of those lemons-into-lemonade situations and one of the most beautiful and romantic ceremonies I have witnessed, it certainly felt like a “movie moment” and really shows the character of this couple & the support that they have in their family and friends. Showed my son… he said thats sick, which means thats GREAT ! Wonderful job Lisa of a very nice wedding. Shot from above of umbrella’s around bride & groom. 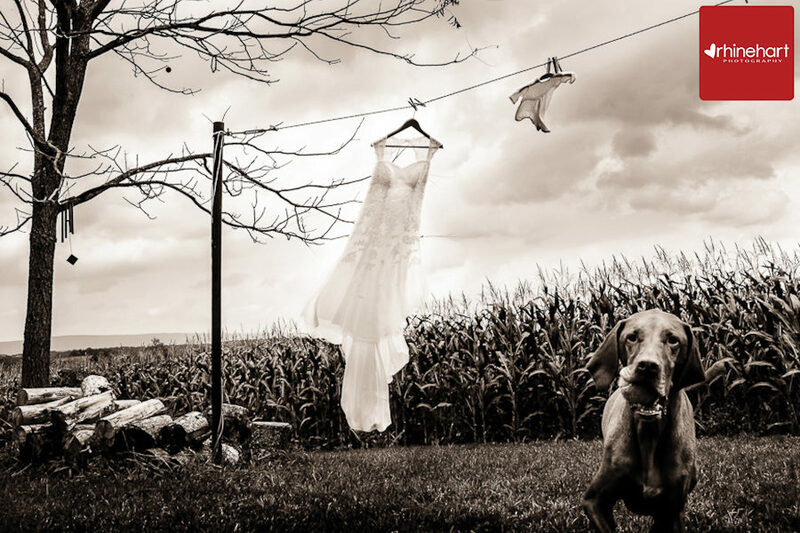 LOVE – the line with dress and baby outfit on it with the dog – Just a Wow & my Fave ! 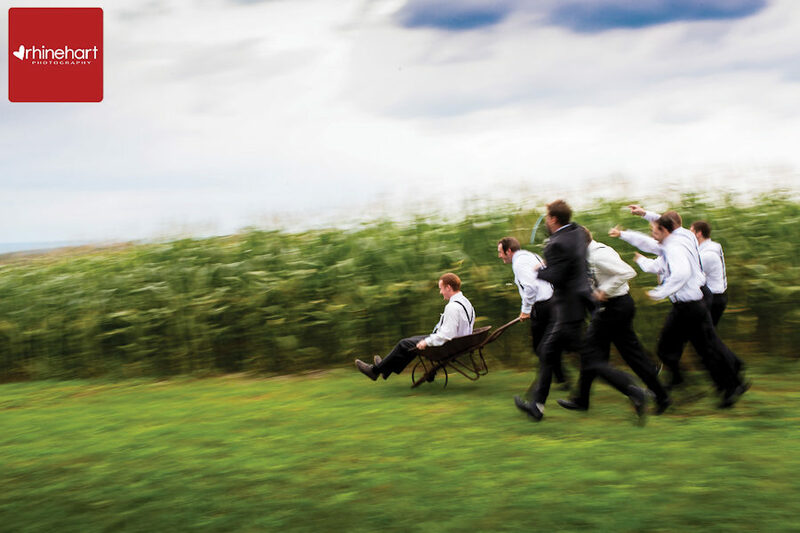 Groom kicking heels, color one with path & cornfields holding umbrella, B & W one also. The wheel barrel with the guys! Rain drop !